PayPal, Western Union, MoneyGram are available. Shape Curve, straight, "S", "L" or "U" shapes are available. Graphic Single or double sided. Changeable. Weight Depends on the requiring size. It's around 45kgs per set. 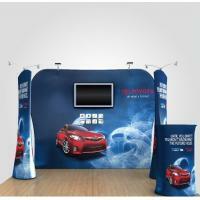 Pop up stand not only can be used as a simple backdrop wall for exhibition or events, but also can be adding various accessories for different usage, such as spotlight, TV hanger, windows, shelves, etc. Q1. 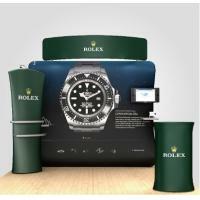 What sizes of pop up backdrop stand you have? 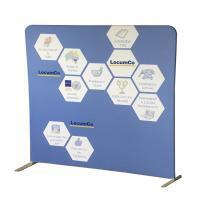 so the sizes of pop up stands are in standard sizes. Q2. 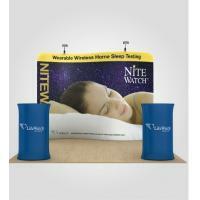 What should I do for this trade show product? Q3. How long is the production period? A3: In normal condition, 5-7 days after deposit payment is done. Q4. 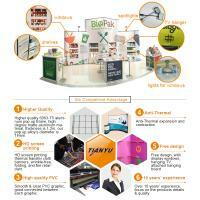 What is the packaging specification? A4: Carton or plastic case with wheels. A5: Sea/air transport or express for option. A6: T/T, Western Union, Paypal, MoneyGram, L/C etc. 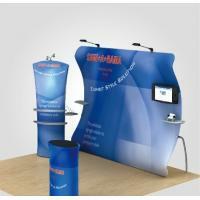 Banner stands related, roll up stand, retractable banner stand, pull up banner stand, X banner stand, L banner stand, pop up stand, banner wall, aluminium banner frame. Flag pole/stand related, beachflag, bowhead flag, flying banner, teardrop banner, sail flag, blade flag, bali flag, giant flag poles, wall mounted flag poles, aluminum flag poles. 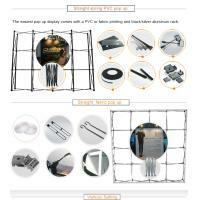 Others like, poster stand, aluminum poster frame, portable tent, sun umbrella, crowd control banner stand, etc.. 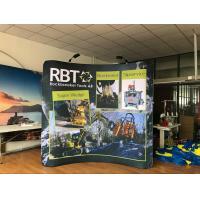 In additional, we also provide professional flags and banners printing service for all kinds of banner stands, silk screen printing, digital ink injecting printing, heat transfer printing. Especially, 5 years’ experience of printing & sewing for beachflag, bowhead flag, flying banner, teardrop banner, sail flag, blade flag, bali flag have all our customers happy with both hardware and printing. 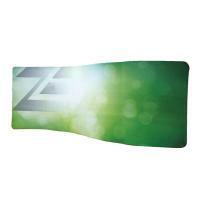 * Spot/dash color with extra big size, 2 x 8m, 8 different colors. 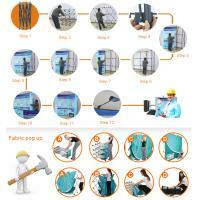 * Color fixing and washing process makes flag more bright, long lasting under any climate. When to choose silk screen printing? Big quantity, with lower price but nice quality. Especially for flags, banners, as well as beachflag, bowhead flag, flying banner, teardrop banner, sail flag, blade flag, bali flag. * Digital direct injecting printing machines are engaged. Maximum width 3.2m. * Color fixing and washing process after digital printing, colors more bright, fastening, long lasting. Smaller quantity, with economic price but good quality. Especially for flags, banners, as well as beachflag, bowhead flag, flying banner, teardrop banner, sail flag, blade flag, bali flag. * Heat transfer printing machines. Maximum width 3.2m. 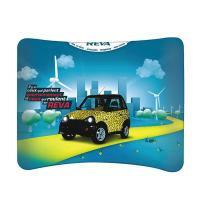 * Extremely bright color, good choice for one side printing. When to choose silk screen printing? Small or big quantity, reasonable price but excellent quality. 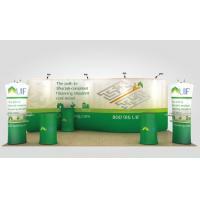 Especially for roll up stand, retractable banner stand, pull up banner stand, X banner stand, L banner stand, pop up stand, banner wall, aluminium banner frame. 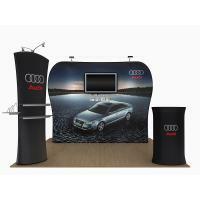 Just one step in Biz2promo, you will get full set display systems for marketing and advertising solutions.